In pursuit of our mission, we collect and use certain information from our players. Being transparent about our use of players’ information and respecting their privacy is incredibly important to Praadis Games. We’ll collect and store any information that you provide to us, including when you create your account or a player profile. 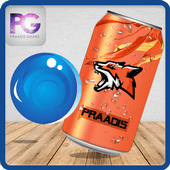 a Praadis Games player ID that is created by Praadis Games and used to identify your game account (on www.praadisgames.com, your Praadis Games player ID will appear in the URL of your profile page). If you give us your mobile telephone number (including for SMS text messaging services), we will also collect and store that number. We’ll collect information that you provide to us about your contacts, but be sure to ask their permission first. We may give you the ability to import your address book contacts or to manually enter them so that you can locate your contacts using Praadis Games Services and invite them to join you in our games or other aspects of our Services. You are responsible for getting your contacts’ permission before you give their contact details to us. We may also get information about you from other Praadis Games users importing or entering their contacts. We use and may store this contact information to help you and your contacts connect through our Services. If you need to enter a password to allow us to access your address book, we will not store that password. We’ll collect information about the ways you use and interact with our Services. When you use our Services, we’ll collect information about the ways in which you use and interact with our Services, such as when and for how long you play our games, game features and other players you interact with, purchases you make, progress or levels you achieve, and other gameplay activities. your posted photos, drawings, or other user-generated content. We may access in real-time, record, and/or store archives of these communications, comments, photos, drawings, and other user-generated content on our servers to make use of them to protect the safety and well-being of our players; to protect our rights and property in connection with our Services; to conduct research; to operate, improve, personalize, and optimize our Services and our players’ experiences, including through the use of analytics; and to manage and deliver advertising. Where required by law, we will seek your consent for this. We’ll collect information related to any purchases you make. If you purchase in-game virtual currency or items in a game you play on www.praadisgames.com, our third-party payment processor will collect the billing and financial information it needs to process your charges. This may include your postal address, e-mail address, and financial information. Our payment processors do not share your financial information, like credit card numbers, with Praadis Games, but they may share non-financial information with us related to your purchases, like your name, billing address, and the items purchased. When you ask for help from our Customer Support team, we will collect and store the contact information you give them (generally, your name and e-mail address), information about your game play or activity on our Services, and your Praadis Games player and/or social network ID number. We will also store the communications you have with our Customer Service team and any additional information in those communications in order to provide support and improve the Services. We’ll collect some information from other companies, including social networks, if you access our games through your accounts with those companies or you choose to connect your accounts with those companies to our games. If you play our games or access any of our other Services on connected third-party applications or connect our Services to any third-party applications, including social networks like Facebook, Praadis Games may receive certain information about you from the provider of the third-party application. The information we receive depends on the Praadis Games game you’re playing, the third-party application, your privacy settings, and, if applicable, your friends’ privacy settings on that third-party application. 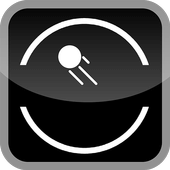 any other information that you or the provider of the third-party application share with Praadis Games. We’ll collect information about your device and how you use our Services, including using cookies. In some cases, we will connect the above information with your social network ID or Praadis Games user ID. 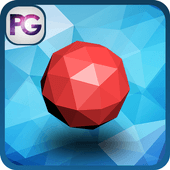 information about the our games and other third-party apps you have on your device. If you want to adjust your privacy preferences on your device, please see How to Access, Update, and Manage Your Personal Information. We may collect information from other third-party sources. Where we do, we’ll let you know. We use your information to provide, personalize, maintain the security of, and improve the Services you use; to maintain our business operations; and to exercise, defend or establish our rights. We use your information under several legal bases, including to perform our contract with you, for our legitimate business interests, to comply with our legal obligations, or otherwise with your consent. If you are located in the European Countries (defined above in Section 1), our legal basis for collecting and using the information described above depends on what the information is and the context in which we collect it. We’ll share your information with third parties when you use our Services under the circumstances described in this section. We’ll share some of your information with your friends and other Praadis Games players that you’re playing with to facilitate your gaming interactions with them. Our games and Services support and often encourage you to interact with other players. In most our games, if you play through a social network or connect to a social network (for example, Facebook), your social network friends who also play a our game will see your name, photo, player profile (which may include the information described above in Information About You That You Share With Us Directly), and descriptions of your in-game activity (including any games you have played). In addition, in many of our games, other players, regardless of whether they are your social network friends, will be able to see your player profile (as described above); view descriptions of your in-game activity; communicate with you within our Services; and send you game requests or friend requests through our Services or the related social network. We’ll share some of your information with advertisers to tailor the advertisements you see when you use our Services to your interests and to enable us to offer some of our Services for free. We use advertising to enable us to offer some of our games, game features, and other Services for free. These advertisements may include, without limitation, banner ads on game boards or Services themselves, as full-screen ads between moves or games, or through an “offer wall” in which third-party advertisers offer to provide virtual currency or other in-game items to players in exchange for watching an advertisement or for completing a task, such as signing up for an account with one of the advertisers, completing a survey, or finishing a particular game level. Offer walls are hosted by third-party offer wall providers, and the offers are made by third-party advertisers, not by Praadis Games. We do not actively share personal information that directly identifies you with third-party advertisers for their direct marketing purposes unless you give us your consent. other contextual data about your game play (like your level and session length). undertake web analytics to analyze traffic and other player activity to improve your experience. Please note, after clicking on a third-party advertisement or offer, you may no longer be on a site or app controlled by Praadis Games or the social network through which you are playing our games. Please note that the practices of third-party companies delivering advertisements on our Services are subject to those companies’ own privacy policies. We’ll share your information if necessary for safety, security, or compliance with law. to protect the rights or property of Praadis Games or applicable third parties, including to enforce our Terms of Service. We’ll share your information with the third-party service providers and business partners that we work with to bring you our Services. We’ll share your information with the interested party if we undergo or evaluate undergoing a sale or merger. We may share some of your information with other third parties if we have your consent to do so. You can unsubscribe from promotional emails by clicking the “unsubscribe” link or visiting our Email Settings page. You can opt out of mobile push notifications in your device’s settings page. You can opt out of SMS text communications by texting STOP. If you want to stop receiving promotional e-mails from Praadis Games, click on the “unsubscribe” link at the bottom of any promotional email from Praadis Games or visit our Email Settings page. Your unsubscribe request or e-mail preferences change will be processed promptly, and in no event longer than ten business days. During that processing period, you may receive additional promotional emails from us. You can opt out of receiving SMS text messages by texting back STOP to the number we send the text from for that particular SMS text messaging program or by Contacting Us. When we receive an opt-out message from you for SMS text messages, we may send a text message confirming receipt. All of the opt-out tools described in this subsection are provided by third parties, not by Praadis Games. 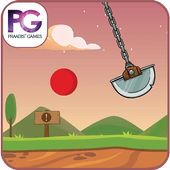 Praadis Games does not control or operate these tools or the choices that advertisers and others provide through these tools. Please note that you may still receive third-party advertisements in our Services after using these opt-out tools, but the advertising you see may be less relevant to your interests. We aren’t responsible for the ways in which third parties use your information (other than our service providers acting under our instructions). Our websites and games may contain advertisements from “Third-Party Services,” meaning companies other than Praadis Games, that may link to their own websites, online services, or mobile applications. We are not responsible for the privacy practices or the content of these Third-Party Services. If you have any questions about how these Third-Party Services use your information, you should review their policies and contact them directly. We’ll keep your information for as long as necessary to provide you with the Services, maintain our legitimate business operations, and/or exercise, defend or establish our rights. We work hard to protect your information but you also have a role to play. If you have an account registered directly with Praadis Games, your profile information is protected by the password you use to access your Praadis Games account. It is important that you protect and maintain your Praadis Games account’s security and that you immediately tell us of any unauthorized use of your account. If you forget the password to your Praadis Games account, the Services allow you to request that instructions be sent to you that explain how to reset your password. If you access our Services through a social network and your social network account is hacked or otherwise compromised, this may lead to someone accessing or deleting your game accounts without your permission. So, be careful to keep your social network account information, including your social network account password, secure as well. We urge you to log out of your Praadis Games account and any social network account you have used to access our Services when you are finished using them. When you sign into your Praadis Games account or enter payment information, we and our third-party payment processor use encryption to transmit that information. While we take precautions against possible security breaches of our Services and our customer databases and records, no website or Internet transmission is completely secure. We cannot guarantee that unauthorized access, hacking, data loss, or other breaches will never occur, and we cannot guarantee the security of your information while it is being transmitted to our Service. Any transmission is at your own risk. If you have questions about the security of our websites, please Contact Us. You can contact us with your questions, comments, or concerns. 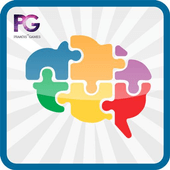 Praadis Games Inc., is a New Jersey U.S.A based Gaming company offering solutions in the field of Education, Training, and Entertainment. We hold our expertise in 3D, Virtual Reality, Augmented Reality and Mixed Reality. © 2019 Praadis Games. All Rights Reserved | Designed by Praadis Consulting Inc.